This is my first post so please go easy on me. I recently bought a bebop 2 (used) off Craigslist. I love this drone. After flying it a dozen or so times I got a little overconfident and parked it on a treetop about 50 feet off the ground. Fortnantly it was my property and wanted that tree down anyways, so off to garage and get da chainsaw. Pulled drone and pulled off stringy leaves stuck in props, looked it over and seemed to be fine. The battery drained to null, and it rained a little before I could get it down. Pulled battery and charged it, took off props and put the unit in a big bowl of rice for a couple days. I took it out and put battery in and bebop came on as soon as battery Clicked in. It connected to sky controller fine, everything seemed to be good, gps, battery 92%, so took off and hovered, noticed battery drain very fast down to 40% in matter of minutes, them drainage slowed. I didn't fly it other than hover in front of me, but landed it at 20%. Tried to turn it off with button but would not shut off. I took out the battery, let it sit for a couple minutes and put it back in. Again bebop power up as soon as battery clicked in, but now it's shows up at 70%. Why not, took off again and hovered, again battery drained very fast, not even a minute and down to 15%. I landed it and it has been sitting for a couple weeks. My question is,could a bad battery be causing the power switch to be stuck? Is there a way to test it with another source ( benchtop testing). I was thinking maybe a way to use the charger cable to power the drone via AC-D.C. Conversion. Any help or suggestions would be greatly appreciated. None of your symptoms are consistent with a bad motherboard. I'd rule that out from your descriptions. You could get a battery connector and wire it to an external power supply. That would allow you to power it up, but not possibly fly it. Since it already powers up, I don't see a bench test helping. Since you bought the drone used, let's go with the simplest explanation. Unless cared for carefully, Bebop 2 batteries often go bad. It's been my experience that most used drones come with bad batteries. The symptom? short flight times. The battery also isn't sealed against moisture, and has electronics in it, so it getting wet probably didn't help. I hope you also put it in the rice to dry. Is it swollen on the flat bottom at all? If it is, it's bad. Meanwhile, I assume you have a stock Bebop 2 charger that came with it. Bebop's own charger is known for not fully charging batteries. Charge your battery up, plug the charger cable into it (don't try metering the battery pins directly), then read the battery voltage between the 4 pins on the far end of the cable. It should read 12.6 volts (more or less) between the two outer pins of the charger cable. If it's significantly less, your problem may not be your crash, it might just be a bad charger. As far as the percentage rebounding, that's normal. 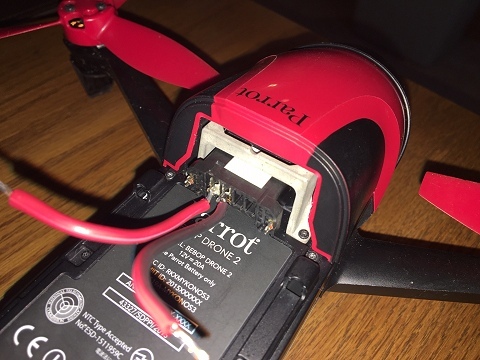 The drone draws close to 10 amps, and the battery will show some (false) recovery once disconnected/reconnected. Power switch: There's a lot of electronics in the switch unit. It's not a simple button. It may still be wet inside from the rain. Frankly I don't think letting it dry for 2 days is long enough. Drop it back into the dry rice for a few more days and see how it goes. And be sure to put the battery in there too - not connected of course.
. . . . . . . The battery drained to null, and it rained a little before I could get it down. . . . . . . . .
Normaly if a Lithium Polymer (LiPo) battery is drained to zero it has at least one (of three) damaged cell. Therefore you should not fly with it and iit will never show you a reliable status on screen. The battery drained to Bebop 2 null (--%) in Freeflight Pro. That doesn't mean a 0 volt battery. The Bebop 2 firmware automatically shutdowns power at 9.0 volts to protect the battery cells. Of course that doesn't mean he his battery is any good, that's why I told him how to test it. I tested the battery and I have 2 bad cells i think. One measured at 3.9v one at 1.8v and one at 5.2v. Never have seen one that was higher than 4v but I checked it 3 times and same readings. . . . . . . . So I was right with my thoughts, to bad, you cant use that battery for shure. Last edited by dries_w on 31 Oct 2018, 11:18, edited 1 time in total. This happened over 5 weeks ago, so I believe it should be dry by now. . . . . . . . I'm afraid your BB2 has done some shortcirquit in the rain. For that reason its very difficult to say what the electrical damage is, imo the only thing to solve that is to replace the whole mainboard. I need is info on how to power the drone so I can test it. My English is not that good to express myself, but what I meant was, if you dont know where the shortcirquit took place (motor, Fet, IC etc.) youu can not measure without electric scheme and you can not (in most cases) power up. It's a 3-cell lipo. Reading from the pin on one end of the charger adapter, you should read 3, 6, 9 volts (3 volts per cell) on a fully discharged battery. 4.2, 8.4, 12.6 volts on a fully charged battery. Any 2 adjacent pins measures one cell. Span 2 pins and you're measuring 2 cells in series. 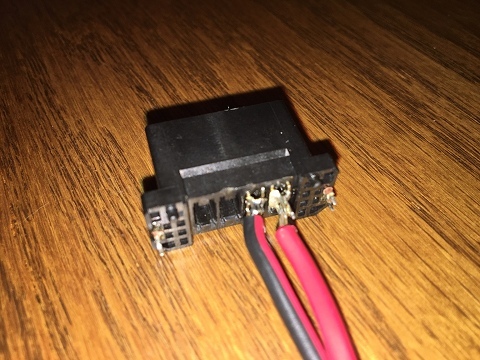 A LIPO simply can't take 5.2 volts - it would explode first! I'm sure your bridging across 2 cells at 2.6 volts each to be reading 5.2 volts in your test. Stuck button: Here's the problem there... If the button was actually stuck or shorted the drone wouldn't power up - it would be in continuous reset mode. If I turn on my drone and continue holding the button it never initializes - it goes into a reset loop. Something else has likely gone wrong on the button's PC board. Powering up from an external 12v supply. Easy stuff. You'll need a connector taken from a bad battery and a very clean 12v 2 amp supply. I'll post some picks later. I have to connect end from the bad battery and a 12v adapter. Did you ok at the link on the YouTube that I posted? Take a look. It does happen and it's exactly what I'm seeing on mine. I need to read before posting lol. I have the plug from the bad battery and it Doesn't seem to be too difficult to remove it. I also have a 12v battery charger and it has a 2 amp setting. I was thinking I could use that or am I wrong. I've seen some post that have done this with other drones that use a 3S lipo battery. I've even seen where people have teathered there drone and flew it, I'm not that brave to try it lol. Anyways, I'm waiting to see the sketch for wiring it and thanks everyone for the help. Oh, I posted a link to a YouTube video that shows what my issue is. Did you look at it? It's in one of my replies. Seems that it does happen. That's exactly what you need to do. Remove the circuit board from the battery (the connector will be attached). De-solder the 2 points that hold the connector housing and the plastic connector slips right off. Then you need to de-solder and re-use a couple of the forked contact pins. Looking at the connector from the back, hold it with the angled corners down (it's keyed to only fit one way), insert the two removed connectors onto the rightmost tabs, then solder your wires. The rightmost connection (viewed from the back) is positive (Red), the connection next to it (Black/Red) is ground. That's it! 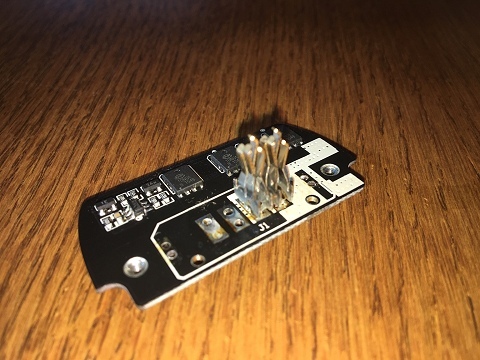 Plug it into your drone (make sure it matches the picture below), and supply it with 12vdc. It will power everything on the drone, but not enough to fly. The voltage isn't critical - anything from 10v to 13v will work, but it has to be from a clean power source,. The Bebop 2 was designed for battery operation so it doesn't have ANY filtering on the input. I use a lab supply to fire mine up. Sorry for sounding stupid but can i use a battery charger? Or i have a 12 volt lawn mower battery. A also have a 12v 5 amp ac/dc power converter. What one would be best?